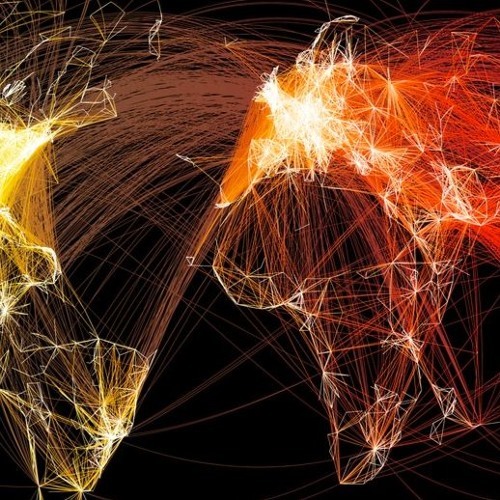 Our first instinct as technologists or users of technology is to think of 'connectivity' as digital connectivity -- the internet, our smartphone. But the internet is just the latest in a long line of connectivity that spans centuries, not just decades: transportation, energy, communication. The internet, in fact, is the newest kind of supply chain -- a "data supply chain" -- with technology, goods, capital, people (human capital), and ideas moving across it. We're moving towards a world where infrastructure and supply chains (and the friction between them) matter more fundamentally than even geography and political borders. This in turn is reshaping everything, from companies (including "stateless superpowers") to cities ("megacities") to identity. But what does this mean for jobs? Or those who don't have connectivity and mobility? Does this lead to a filter bubble? The evidence suggests otherwise, argues the author of the new book Connectography, Parag Khanna, in this episode of the a16z Podcast. Khanna -- a senior research fellow in the Centre on Asia and Globalisation at theNational University of Singapore's Lee Kuan Yew School of Public Policy and a CNN global contributor -- traveled to Iran, Mongolia, Nigeria, North Korea, Pakistan, Ukraine and many more places to analyze and document the global "connectivity" phenomenon. Despite "millennia of cultivated cultural and linguistic provinces" and practices, this connectivity is reorganizing the world. "their loyalty to their company is much more than to their County"
citizens of the "independent republic of supply chain"
This entire talk is discussing the very ideas that got me into ethereum / eris. Amazing to hear it brought up!